Common Affiliate Marketing Mistakes to be avoided in 2019 for the best results. In the last article, we have discussed How to start a blog for the Affiliate Program? But do you know about the Affiliate Marketing Mistakes which you should avoid at your beginning? If you have already started Affiliate Marketing Business (or) just in your beginning, you should know these common mistakes to avoid in your path. Affiliate business is profitable when being done in the right way, but when you do any mistake it will ruin your chances of success. So, Learning from other’s mistakes will mold ourselves and do things without doing mistakes again. First, we will discuss How Affiliate Marketing works? Then, we will discuss the possible mistakes that newbies should avoid. I hope, your next few minutes will be spent much more useful. How does Affiliate Marketing Business work? It’s a very simple business model where an individual get’s a commission on every sale he/she made on behalf of a merchant. Almost all merchants were using this marketing model and there are many different affiliate programs available in the online industry. Finding the right affiliate program. Choosing the right product (or) services. Promoting the link to generate sales (or) leads. Earn a commission on every successful sale. Every online and offline business needs some tool for running and let’s see those tools needed for this lucrative business model. Monetizing, tracking and getting payments. That’s all about the complete process in Affiliate Business. 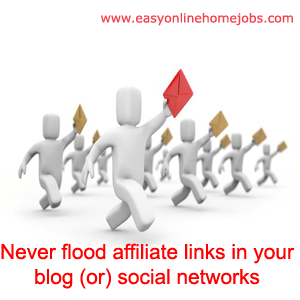 You can do Affiliate Marketing Business without a Blog, but it’s not suitable for every person. Unless if you have established a brand name (or) a brand page, you can do so, but as a newbie (or) a starter, you should start a blog for Affiliate Marketing Business. Once you understood all these things, let’s get into the actual phase of our discussion about the common Affiliate Marketing Mistakes to be avoided before everything. Affiliate Marketing is not an HYIP (or) Get Rich Quick Scheme. If you have similar thoughts before starting, then this business is not for you. No matter what you do and how you do it, absolutely it will take time to see your first earnings. v.) You may not know how to choose the right start? 1.) First, gain enough knowledge about the program by reading various resources available online. Prepare a working model that describes your complete business plan right from the beginning. 2.) Start a blog and promote your blog first to get traffic and meet new people. 3.) Concentrate on developing a network of trustable audiences to share your thoughts, information. Be active in your community and establish a two-way communication with all the new people you meet. 4.) Slowly by the time, when your audience’s shows trust on you, chances are available to convert them into your buyers (or) regular customers. So, you read the first important Affiliate marketing mistake to avoid and you know, starting a blog is your first step. The next thing, you should start building the email list by collecting your audience email ids. 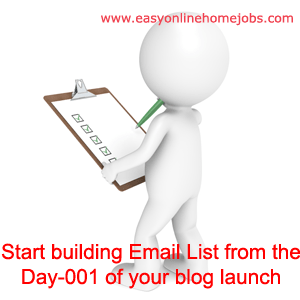 This means that you should start collecting email of your blog visitor’s from the day-01 of your blog launch. This is the biggest asset that every affiliate marketer could have for their sustainability. You start collecting emails through Newsletter Forms, Lead pages, Download pages, contact us page etc. Collecting every visitor’s email is the starting process in Affiliate Marketing. When you ask most successful marketers (or) online business owner’s, they say Subscriber’s list is their biggest asset. This is the most common affiliate marketing mistakes that most newbie marketers are doing in their beginning. This list helps to bring repeated traffic. Let’s assume you have a list of 2000Subscriber’s and when you publish a new post on your blog, you can send them an email and let them know about your new article. It’s an industry standard that, you will get almost 60% of people will visit your article and share your content on their social media. In them, 10% of people may come forward to try the product. Similarly, when no traffic, then there is no sales. So, in either way you should bring traffic to your blog to generate some sort of Affiliate product sales. Organic traffic (or) Natural traffic (or) Search engine traffic is the biggest hurdle, but once you achieved you will get residual traffic. Say, you did some wonderful SEO activities and ranked your blog on the first page of the Google Search Engine. Google then rolls out an algorithm and for god sake, your site got hit and simultaneously you lose your ranking, thus reflects traffic loss. Think about this situation and you will be frustrated thinking that you have ended. But, thank God you have a list of 2000 subscriber’s in your database. Don’t worry, every time when you publish a new post, send them an email and invite them to visit your new article. This will increase direct visitors and with social sharing’s will drive social traffic. So, you will get back your rankings and kick start again from the start with more energy. 1.) Immediately after you launched your blog, start collecting emails by signing up an email marketing service such as Aweber, Getresponse, Mailchimp etc. 2.) You can start free with MailChimp and with the increase in subscribers you can opt for premium services. 3.) Create a custom optin newsletter form (like the one you see on this page at the bottom right slide in) to collect emails. It’s a myth but not to the great extent, I see every blogger’s main problem is, How to rank their blog in search engine pages? Affiliate marketing means selling the products (or) services to the people. Blogging is the best method for running a successful affiliate business and as a blog owner; you should perform SEO activities to drive traffic. NO TRAFFIC = NO SALES = NO REVENUE. So, traffic is the raw material that generates revenue in this business, but there are different sources to drive traffic and Traffic from the search engine is not the whole thing. But most of the marketer’s advice is to concentrate on search engine ranking, but in reality, this is not necessary at all to earn revenue. Google may either rank your website (or) may not rank, but stop worrying about it and start concentrating on driving traffic from other sources such as referral, direct and social. 1.) First, you need patience. Start building your blog, write quality contents on your topic and publish. 2.) Second, start an SEO campaign to tap different traffic sources such as Social Media, Guest Posting, Link building, Email Marketing etc. 3.) Third, write quality posts targeting long tail competitive keywords. Concentrate on giving a solid genuine review (or) quality information on the topic. At the end, search engines by themselves start indexing your blog and rank them up in their search results. It’s another big affiliate marketing mistake that you could never do at your beginning. Choosing a right niche will be the right start because you need to write marketing content’s to market your affiliate products. Just posting product links on your blog page does not bring you any sales. You need to write interesting, convincing informative articles about the product, add some testimonials, customer reviews, and feedback etc. Learn these tips to write the best content’s for your affiliate marketing business that will outrank your competitor’s and generate more sales. To make all these things happen, you should have an interest in research, find and write articles about the topics (or) the product. When you blog for affiliate marketing, Keyword research is the first thing that will give you complete insight into the product and its trend in the present market. Ultimately you may come with more new topics, and take some time to analyze yourself to reveal your interested topic. Research for the blog post ideas, and start writing articles. Once was the era, where even just a 400-word article ranked well on the search results. But now the days were the search engines started giving importance to their user’s and started ranking the blog pages having more lengthy useful contents. Without proper formatting, your blog post does not bring you any sales. Write articles by using bulleted lists, images, proper headings, bold text etc. Start writing articles with your audience in your mind, write in a way of giving a solution (or) letting them make some decision. If you really want to make money, start writing quality reviews about the product, add testimonials and other user recommendations. Writing 10’s of 100’s of low-quality content will not bring you any sales, instead, start writing for your audience keep their problems in your mind and give them a solution. i.) Give your article a suitable convincing title. ii.) Separate your lengthy article with sub-headings. iii.) Add images and screenshots. Follow these guidelines and write your affiliate content that should outrank other’s who compete with you. Just now, I told you to write amazing contents, but what about the context, I mean the product. 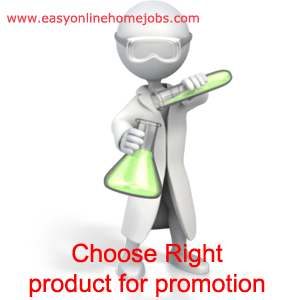 The product you are going to promote should have a real value and related to your blog. Less (or) no knowledge of how to choose a right affiliate product was also one of the common affiliate marketing mistakes by marketers. There are certain formulas to choose the product and finding a right niche based on your passion and interest is the first step we discussed above. The next step is, analyzing the market value and the demand for the chosen product, places of possible higher sales such as demographic location, target audience’s age group etc. Find the product that you have real interest. Analyse the market for that product. Refer to this article, which gives you the more detailed picture about choosing a right product for this business. This is often an unknown affiliate marketing mistake in choosing the right product. You should look into the merchant, their services, past customer reviews, sales after services and so many important factors to consider. Most affiliate marketers choose products to promote just based on their price and affiliate commission they get after a successful sale. Review thoroughly before promoting a product on your blog, so that it helps build trust among your audiences. If you find a bad product, feel transparent to write a review about the product and warn your loyal audiences to stay away. This will create a chance to build a bond between you and your blog audiences. 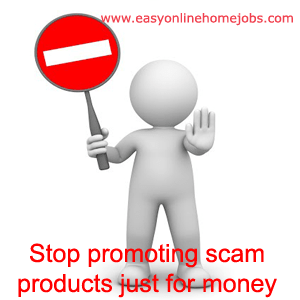 Do not promote scam products, always make a thorough research before choosing a product for promotion. Review writing is the key to affiliate marketing business, and as an affiliate blogger, you should test the products you are about to promote on your own. Practically, you can’t buy and test all the products personally but you can get feedback, reviews from your trusted sources and write about them. This will not only help you build trust but increases your involvement in the product and the outcome will be the more sales. People will not purchase a product (or) services without asking any questions (or) comparing. When you are promoting a product, you should be able to answer all questions arising from your audiences. Not having enough product knowledge is also a biggest affiliate marketing mistakes that you should not do at your beginning, which will lead to loss of returning visitors. Write quality posts explaining the products added with reviews and testimonials, which help people to convince for a sale. Work every day, promote every day until you have a certain volume of returning visitors to your blog. Constantly publish high-quality content in your niche. Write regularly for your own blog and other blogs in your niche which helps you improve product knowledge. This sounds more irritating and this is what most newbie affiliate marketers were doing. 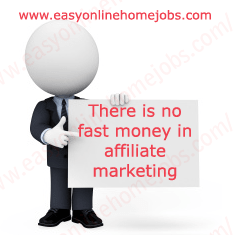 Once they come to understand the fact that, Affiliate marketing is not HYIP, and then these common affiliate marketing mistakes are easily avoidable. Adding too many affiliate links and promoting all the products you are affiliated with will make your audiences annoy and they won’t come back to your blog. Most people think loading their webpage with more text links and banners will constantly increase sales, but the truth is, the result usually isn’t going to give what you are expected? Even, Google does not like these kinds of non-professional articles and there are almost negligible chances of getting rank. i.) Choose and concentrate on one prime product. ii.) Place your links strategically such as One link below the first paragraph, one link below any sub-heading. iii.) One CTA button at the end of the article. iv.) 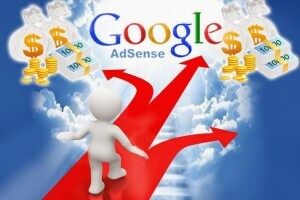 Use clean affiliate URL’s which are easy to remember and Google also likes this. Avoid confusing your readers by bombarding with all the affiliate products, instead guide your readers by telling them what to do next when they land on your blog? As I told above in this article, you should choose one niche based on your interest and the passion. But, with money thirst, most newbie affiliate marketers were registering themselves for the entire program they see. This is not a healthy start in this business and promoting several products at a single time can be tough to manage. As in the general topic, there are already lots of Gurus who has reached the top. Moreover, your blog audience won’t like this and won’t trust you as you don’t have any brand name. Once you have a list of trusted audiences (or) established a brand, you can promote several products to increase your revenue. But this is not suitable for newbie marketers (or) startup affiliate blogs. When you look at the newbie affiliate marketers, you can see many different products promoted on their blog page. 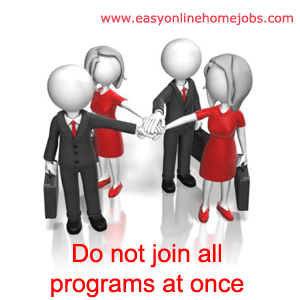 They constantly were switching different programs from time to time, because they want quick money. Be patient and focus on one thing. Start building your own strategy based on the knowledge you gained. It takes time to build a successful affiliate business and stop bouncing from one program to other. Instead, stick to one strategy, plan it and execute putting your best abilities you can. Yes, spamming affiliate links with just earning money in mind is also not worth for success. Especially, when you look at the Social networks? If you are being a member of any Facebook group, you can see these types of posts flooded by many people. What’s the use of this? Just waste of time as no one will click on your post because they don’t know about you? Most successful Affiliate Guru’s taught to use social networks and post virally to get more sales, but as a learner, we post in a lot of quantity without understanding the meaning of viral. Blogging for Affiliate Marketing is the best choice to achieve success as because with days people may have the chance to know about you, trust you and become your regular buyer (or), the customer. Whereas in the Social networks and other sources, it’s not possible unless you have already established a brand name. You cannot become richer over-night and a famous proverb, Rome was not built in a day. The same applies to become a successful affiliate marketer. It takes much time to build an authority in your niche through blogging. We all are making mistakes and it’s the secret of success. When you come to start a business, you should prepare yourself to face the failure’s which cannot be avoided. Just keeping moving forward to reach your goal. Trust in your abilities, learn more every day and work every day. 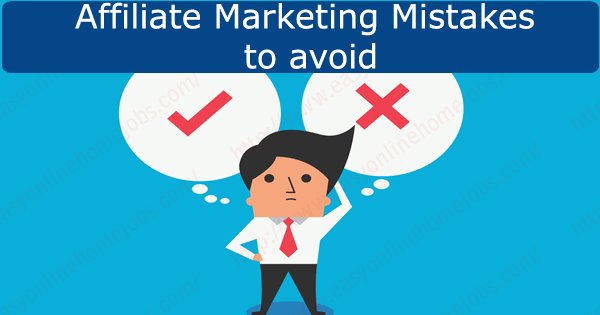 Being a successful affiliate marketer can be the biggest challenge ever in your life, but when you are aware of these common affiliate marketing mistakes, you can save a lot of time by not repeating these mistakes again. Money is directly proportional to time and effort. Work smartly, save time and reach the success. Patience and perseverance is the key to success.